The UCS Science Network Mentor Program wants to bridge the gap between your academic pursuits and your passion for policy and social justice. Across the board, mentorship has been proven to be vitally important for early career scientists’ academic and professional development. The aim of this unique mentoring program is to grow your skills as a science advocate and build your connections with other inspiring early career and more established scientists. Curious to know what past mentees have worked on through the program? Check out this map of local Science Network leaders, or blogs from participants of the first round: Amee, Sara, Jessica, and Sarah. We will pair mentors and mentees carefully, based on the answers you provide in your application about your background, advocacy interests, and the skills you are interested in gaining. We are prioritizing projects with a strong equity analysis and component. Overall, the Mentor Program will require approximately two hours a month, plus the time required to design and implement your science advocacy project. In addition to one-on-one coaching from established scientists, you can expect a variety of applicable tools and resources. These will include toolkits on community engagement and guides on talking to the media, that support your growth as a science communicator and advocate, including two personalized online trainings on science communication and advocacy (and an additional one on decolonizing science). By sharing with and learning from other early career scientists in your cohort, the second class of the Science Network Mentor Program, you will be connected to a community of motivated scientists who are all looking to make a difference. We are accepting applicants for the second cohort of the Science Network Mentor Program through Sunday, January 20, 2019. 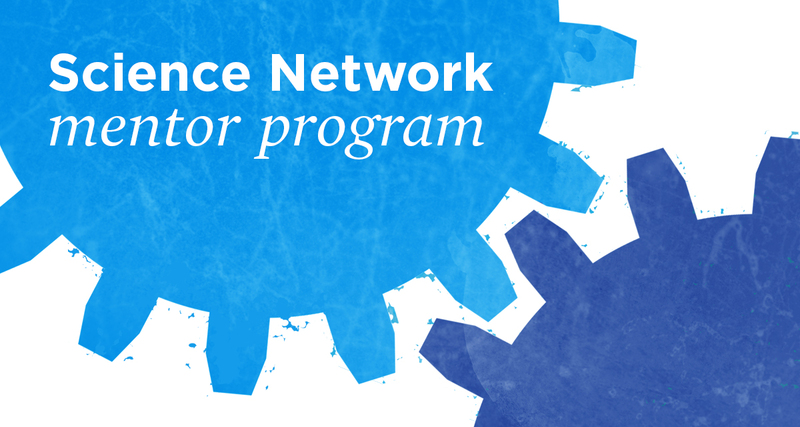 Apply now to be a Science Network Mentee. Attend an online initial launch meeting in February 2019. This an opportunity to meet the other participants of the project and attend a training demystifying the federal rule-making process. Participate in three online workshops in spring 2019, covering science advocacy, science communication, and decolonizing science. Co-design and implement a science advocacy project (with guidance and support from your mentor and UCS Science Network staff). Commit to monthly hour-long check-ins with your mentor and UCS Science Network staff to report progress on project implementation, talk through any challenges faced, and share lessons learned. Take part in an online video learning summit in early fall 2019. During the summit, you will get a chance to share the results of your projects, as well as any success stories and lessons learned. Mentees need to be active Science Network members at time of application—sign up here to join our community of scientists, engineers, public health researchers, and other experts nationwide. Mentees need to be early career scientists (working towards or within three years of receiving an advanced degree). Mentees must demonstrate an interest in or experience with science advocacy or outreach. Mentees must demonstrate an understanding of the intersections of science policy and advocacy and social justice and equity, and a plan to incorporate that into their project. Please note that we try to match early career scientists with mentor volunteers based on common interests. If we are unable to make a match or have more early career scientists than mentors, you may not be selected. Signing up does not guarantee that you will get a mentor. Read the eligibility requirements carefully. Be detailed and creative with your responses to the application questions. We want to have a real sense of who you are and what you are passionate about to make effective matches. Please let us know if you have any questions. We are excited to help foster the next generation of science advocacy leaders.